The EGO LM2001E Mower is one of the most powerful rechargeable mower on the market today! Powered by the industry’s most powerful battery, the first ever 56-volt lithium-ion battery has 40% more power than the leading 40-volt battery. 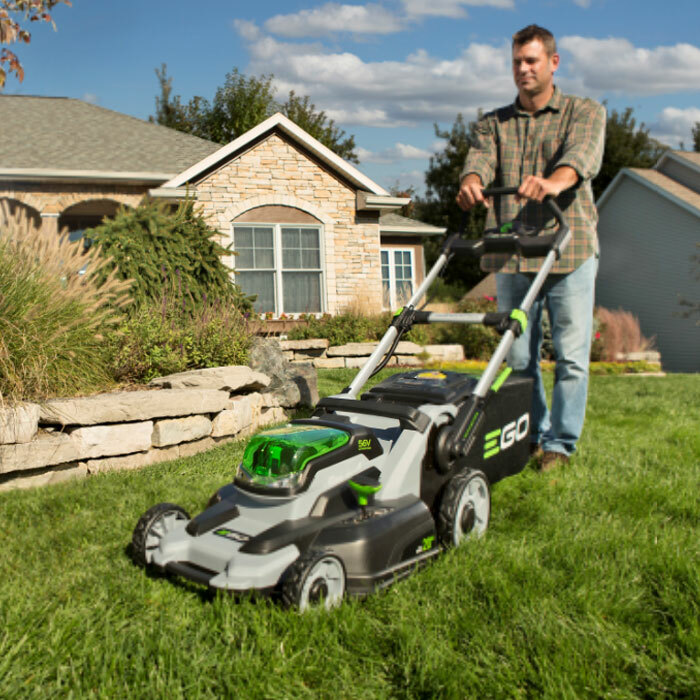 The EGO POWER+ Mower delivers the performance of gas without the noise, fuss and fumes. The features of the EGO LM2001E Mower include: a 19” (49cm) Deck that reduces the number of passes required to mow your lawn; a true 3-in-1 function that allows for superior performance whether you are mulching, bagging or using the side discharge chute; and LED headlights for anytime mowing, morning or night. The Mower emits 20% less noise than a petrol powered mower and the compact, foldable design makes storing and cleaning the mower more convenient than ever!